Of all the movies about the Queens of England, this is perhaps my favorite. Lacking in tragedy but more on triumph -- not of political or monarchy-ial standards but more, of romance (yes, I'm a sucker for it -- albeit not the cheesy type). 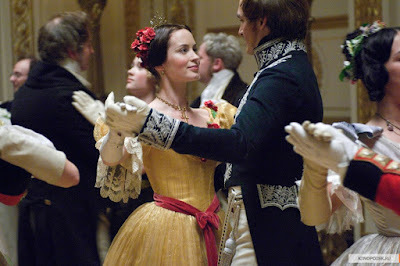 The story of Albert and Victoria is given life by actors Emily Blunt (Devil Wears Prada) and Rupert Friend. While many have criticized the film, I personally feel otherwise. Emily Blunt is one gifted actress of her generation, having some theater background (the best for an actor), she brings to the screen a certain freshness. Queen Victoria and Prince Albert's romance is somehow of classic proportions. After his death, it is said that she would have his clothes laid out every morning, reluctant in assuming her duties as Queen. True love? More than a romantic lover, she was able to find a partner in her reign. If the acting is enchanting, so are the costumes. I don't have much pictures here. They are all from Emilyblunt.com. Sandy Powell designs the costumes which are patterned after the real costumes that the Queen wore. 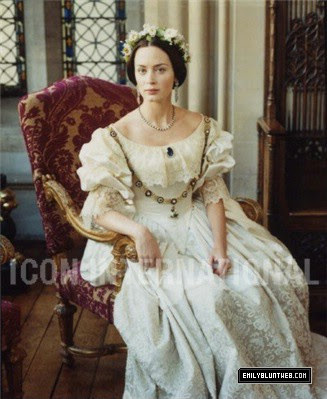 Briefly on the film is the wedding scene which captures the beautiful gown worn by Victoria. I think this was also the period in which Scarlett O' Hara lived -- having named her daughter after 2 queens, Victoria being one. The film is directed by French-Quebecre Jean-Marc Vallée, from Montreal (whose first film "C.R.A.Z.Y" was a big success, about the story of a boy in his teens, in a family of 4 sons, during the 70's in Montreal). believe it or not, here in Quebec this new film has not been released yet !! I can't wait to see it, a friend from Engalnd told me it was a great movie too ! Hi Alison! Thank you for dropping a line. I try to keep the blog alive now -- specially now that there are people who follow it haha. Well, it is a humble blog and being in the Philippines, it is hard to find the dolls and the dresses -- quite expensive too...no, not "quite" but very expensive. But we do what makes us happy while we live. Otherwise we won't be able to relish God's greatest gift to us -- this life. 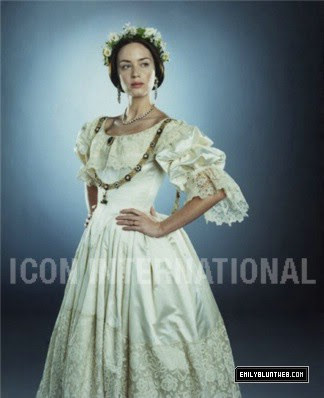 I'll try to do that Queen Victoria and have Alana Bennett do the gown soon -- I hope. Hi Eric! Yes, watch the film. 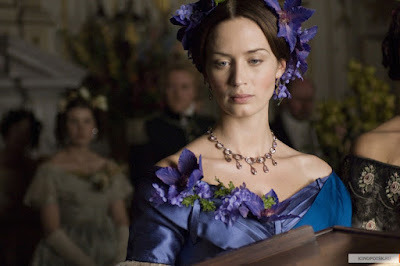 It is wonderful with costumes and Emily Blunt is great in it. I'll have to look up that film you said, C.R.A.Z.Y.